It’s Not bottled, It’s Better! 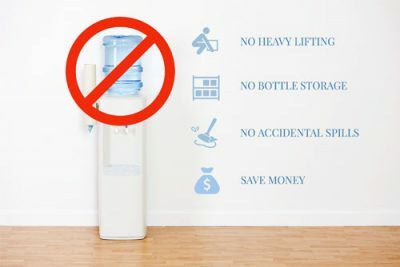 Aqua Clear Water System is helping people get off the bottle…bottled water, that is! Our point-of-use coolers are a never ending source of chilled and filtered drinking water for your customers or employees. Our model is a set it and forget approach: We take care of all the filters and maintenance, so you can focus on what you do best. Aqua Clear’s Aqua-Chill Tower Cooler delivers on a promise of endless refreshing chilled water for your workplace as it features multi-stage filtration and BioCote antimicrobial technology. The business friendly design and guaranteed reliability ensure you have all the quality cold water your employees and guests need. Our filtration technology is really good at taking the bad stuff out and leaving the good stuff in. This stage removes chlorine and other waterborne tastes and odors. Antimicrobial technology that is proven to be effective against a wide range of microbes such as odor causing and staining bacteria, mold and fungus. BioCote reduces microbes by up to 99.99%. Aqua Clear’s Aqua-Chill Counter Top Cooler delivers on a promise of endless refreshing chilled water for your workplace as it features multi-stage filtration and BioCote antimicrobial technology. The business friendly design and guaranteed reliability ensure you have all the quality cold water your employees and guests need. 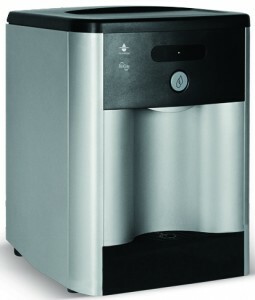 The bottle-free Aqua Chiller water cooler brings a unique, fresh approach to point-of-use water systems in the marketplace. Unlike a bottled water cooler, incoming tap water is treated as it’s needed so the water is always fresh and great tasting. The Aqua Chiller has a cooling capacity that surpasses that of the ordinary bottled water cooler…so you are sure to get a cold, refreshing serving of drinking water every time. The bottle-free Aqua Max II water cooler with its innovative, clean look brings freshness to point of use water-dispensing systems. Its metallic cabinet enhances any location. Eliminating the heavy bottles of standard water coolers, incoming tap water is treated as it is needed, providing a continuous supply of fresh, great tasting water dispensed at hot and cold temperatures. The Aqua Max II has been designed to exceed the highest demands for cold and hot water in high traffic areas. It provides gallons of drinking water storage and it automatically refills for a continuous supply. This system has over five gallons of cold water storage – one of the highest cold water capacities for a point-of-use system on the market today! Unchlorinated drinking water can be a breeding ground for heterotrophic (non-disease causing) bacteria growth. In a typical water cooler, this can lead to biofilm…a slimy coating of bacteria that can adhere to the storage tank. The Aqua Max II utilizes recirculating UV to help keep the cooling tank clean and control the growth of biofilm and heterotrophic bacteria. This sanitization feature recirculates water through an ultraviolet chamber for one hour, every 3 hours, which maintains the quality of the drinking water while it is being stored. You're one step closer to your water solution! Check out our Learning Center to better understand your water needs.